History was a subject popular with authors and readers in the Anglo-Norman world. The volume and richness of historical writing in the lands controlled by the kings of England, particularly from the twelfth century, has long attracted the attention of historians and literary scholars, whilst editions of works by such writers as Orderic Vitalis, John of Worcester, Symeon of Durham, William of Malmesbury, Gerald of Wales, Roger of Howden, and Matthew Paris has made them well known. Yet the easy availability of modern editions obscures both the creation and circulation of histories in the Middle Ages. 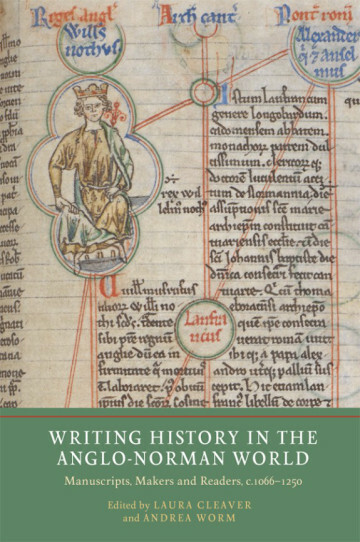 This collection of essays returns to the processes involved in writing history, and in particular to the medieval manuscript sources in which the works of such historians survive. It explores the motivations of those writing about the past in the Middle Ages, and the evidence provided by manuscripts for the circumstances in which copies were made. It also addresses the selection of material for copying, combinations of text and imagery, and the demand for copies of particular works, shedding new light on how and why history was being read, reproduced, discussed, adapted, and written. Laura Cleaver is the Ussher Lecturer in Medieval Art, Trinity College Dublin; Andrea Worm is an Assistant Professor at the Institut für Kunstgeschichte, Karl-Franzens-Universität, Graz. Contributors: Stephen Church, Kathryn Gerry, Anne Lawrence-Mathers, Laura Pani, Charles C. Rozier, Gleb Schmidt, Laura Slater, Michael Staunton, Caoimhe Whela.